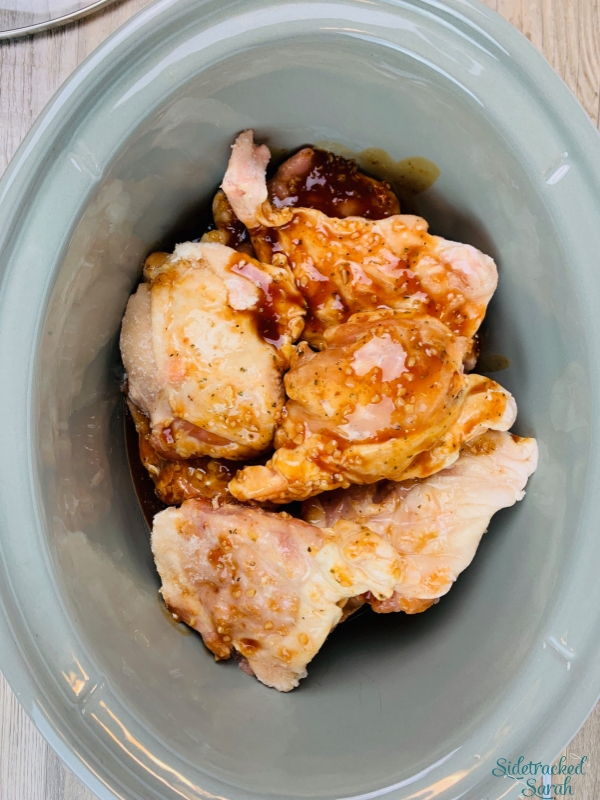 My Slow Cooker Chicken Thighs Recipe is an easy and delicious way to feed your family a meal they’ll love! We love Slow Cooker Chicken recipes. Some of our favorites include Easy Crockpot Chicken & Dumplings and Grandma’s Crockpot Chicken and Noodles. If you’re looking for an easy, delicious recipe your family will adore, look no further! Slow Cooker Chicken Thighs is so quick and easy to prepare, but it’s big on flavor. It will become a family favorite in no time! 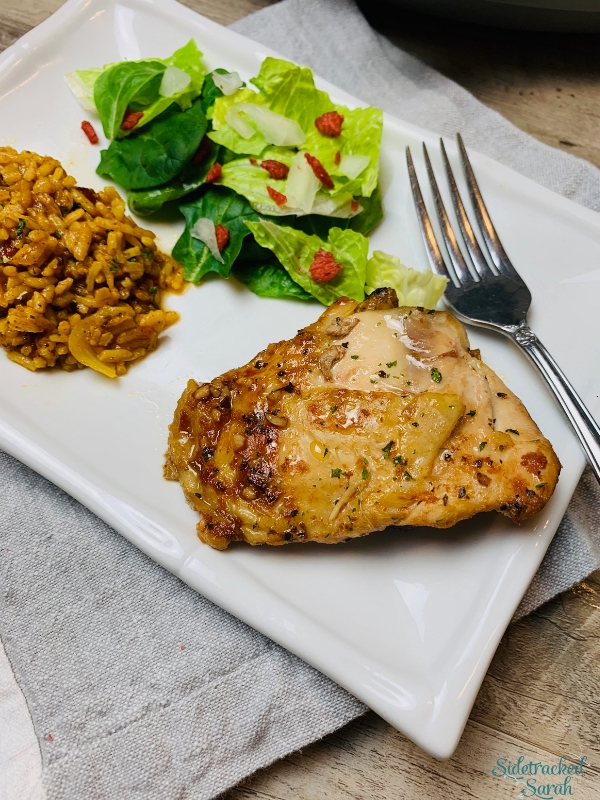 Chicken thighs are really good used for this recipe, but you can always substitute chicken breasts if that is your preference. We enjoy the variety of the dark meat as it has a slightly richer flavor. 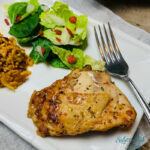 WHAT SHOULD I SERVE WITH SLOW COOKER CHICKEN THIGHS? 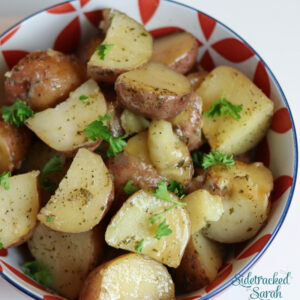 There’s a lot of flexibility with this recipe; you can serve a simple salad or vegetable, or you could go with Instant Pot Baked Potatoes or Cheesy Garlic Instant Pot Mashed Potatoes to round out the meal. Either way, it will be delicious! WILL SLOW COOKER CHICKEN THIGHS FREEZE WELL? Yes, Slow Cooker Chicken Thighs will freeze very well! You can prep everything beforehand as a freezer meal, but you can also easily freeze any leftovers. It’s the best of both worlds! I hope your family will love this recipe as much as ours does. It’s become a regular on our meal plan rotation! Mix together soy sauce, ketchup, honey, minced garlic and basil. 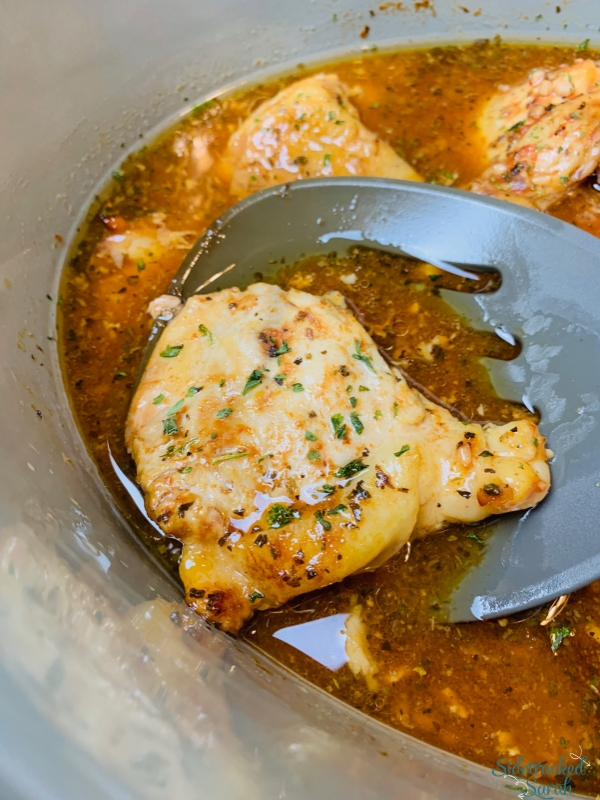 Pour over chicken in the slow cooker.